The Probiotic Anti-Age Eye Concentrate is an ultra-light cream that is highly effective. 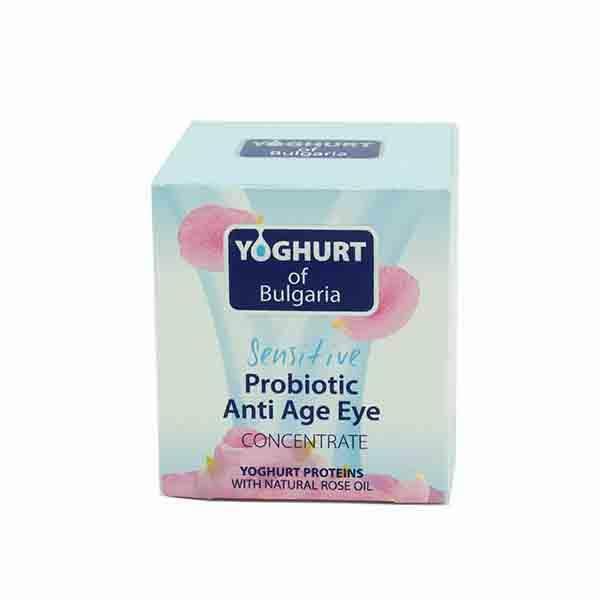 The active ingredients Bulgarian Yogurt and Bulgarian Rose Oil work to stimulate the collagen to reduce fine lines around the eye area. The rose oil helps by nourishing and toning the skin leaving your eye area looking smooth and soft. Suitable for all skin types.